This photo depicts a pine tree in Fulufjäll, Sweden, which the Swedes claim to be 9,550 years old, making it the oldest tree of the world. 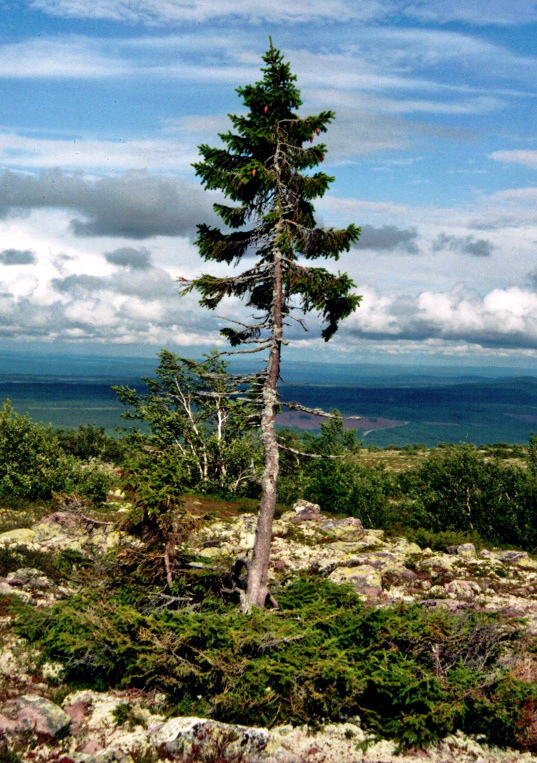 The tree, nick-named "Old Tjikko", has taken on various different shapes throughout its long lifetime by way of adjustment to changes in its environment. Depending on the climate, it either had the growth characteristics of a shrub or the typical tree shape it displays today. The tree is reminiscent of IT solutions, which often have to respond to new requirements in the course of their life cycle. To do that, they need to be equipped with a good measure of flexibility. Ideally, they should be designed so that it is possible to react to likely changes, but without wasting too much energy on preparing for unlikely eventualities.